Explanation: A stereo view of the closest star, this creatively composited image was constructed from an extensive archive of pictures taken between March 2004 and April 2005. 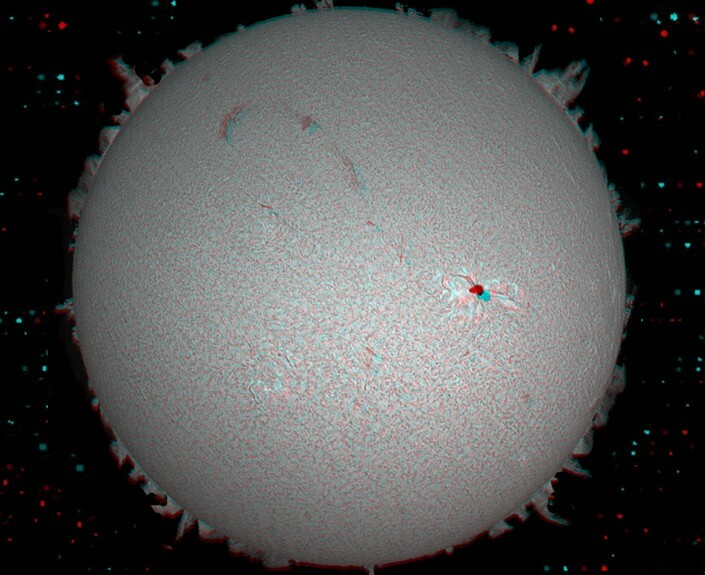 When viewed with red/blue glasses, the Sun's disk and surface features, including sunspots, filaments, and prominences, stand out in an exaggerated stereo perspective. The images were recorded through a narrow band hydrogen-alpha filter, designed to transmit only light from hydrogen atoms in the solar atmosphere. 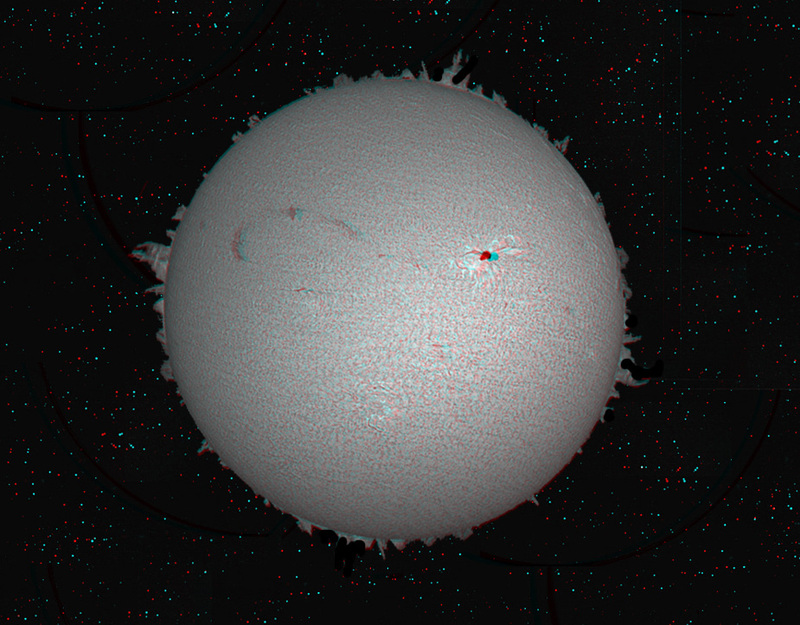 After combining the solar hydrogen-alpha images, a 3D star field was added to the final anaglyphic stereo view.